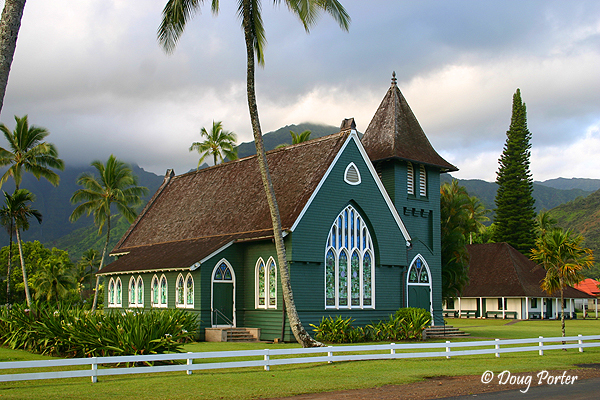 Wai`oli Hui`ia Church in Hanalei, Kauai/ is on the main road through Hanalei and has long been a favorite of Kauai residents, photographers, and tourists. Built in 1912, the green church blends in perfectly with its emerald surroundings. It is a museum in itself and rings Hawaiian hymns every Sunday morning. 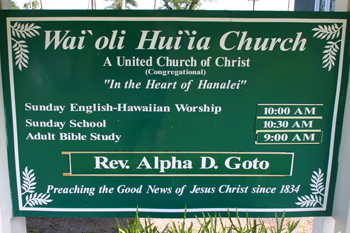 "In the Heart of Hanalei"
"Preaching the Good News of Jesus Christ since 1834"